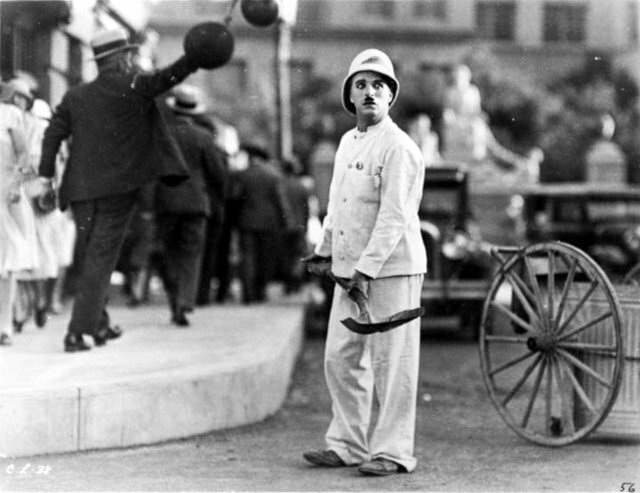 ever since i saw some of the keystone cops shorts back in the day i've been a little bit in love with charlie chaplin's tramp. of course i'm not the only one. i think his unique ability to portray a guy who's just down on his luck in a tough world and yet so innocent within that darkness is what makes him universally loveable. 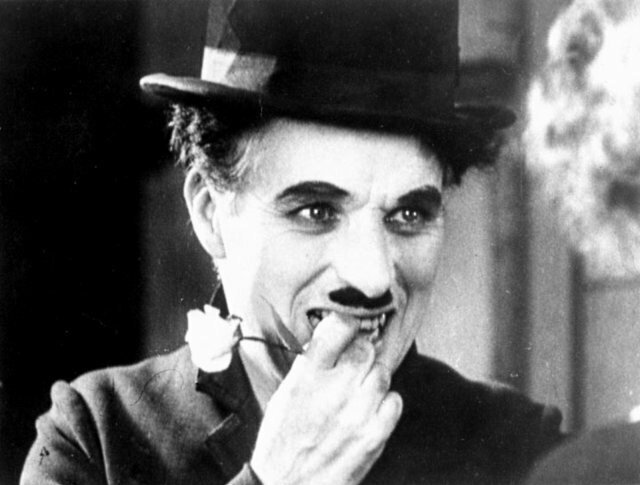 i had the chance to watch city lights again last night and was once again taken with the tramp. from a contemporary point of view, the comedy could seem a bit dated. but dated in the way that bugs bunny and daffy duck are. there is a sense of staginess, due mainly to the accepted style of film making at the time. but beyond that the gags and sort of repetitive physical spoofs are always paired with a sense of awareness that grounds these characters and makes them feel very real. the dilemmas our tramp experiences in 1930s depression era america feel incredibly timely given the state of our modern economy. i was also struck by how utterly sad and moving the ending of the film is. the high jinx and romantic expectations set up by the film are shattered in the last scene- where hope, renewal and unrequited love are precariously balanced with the sinking sense that poverty may very well be the most lonely and inescapable condition in the world. and so, our hero the tramp steps firmly into our modern existential world.